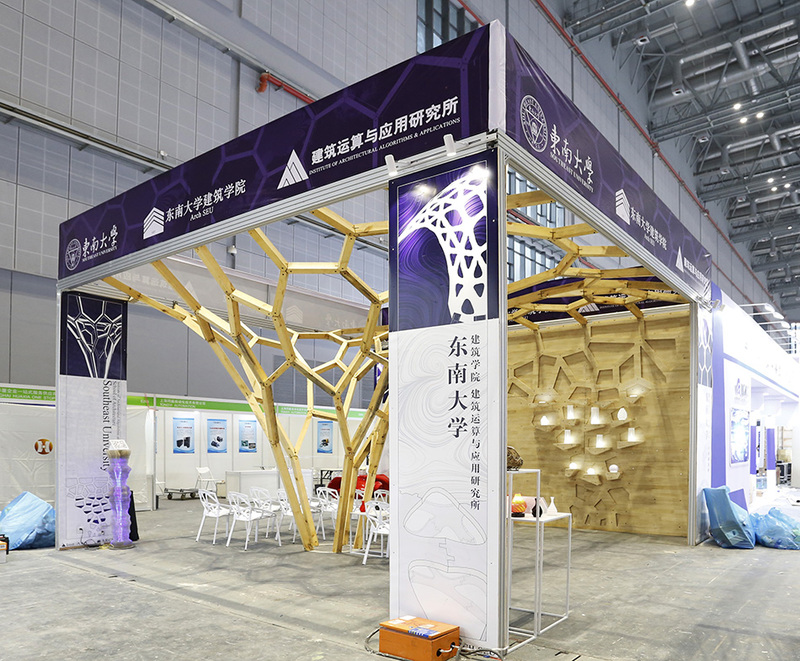 The Upsilon Pavilion presented the robotic technology of Southeast University at the 7th China International Robot Show (CIROS 2018), 4-7 July, 2018. 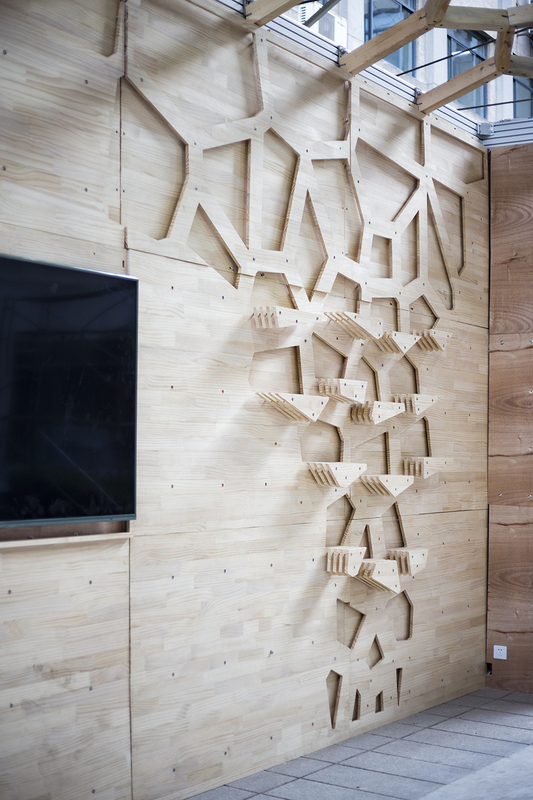 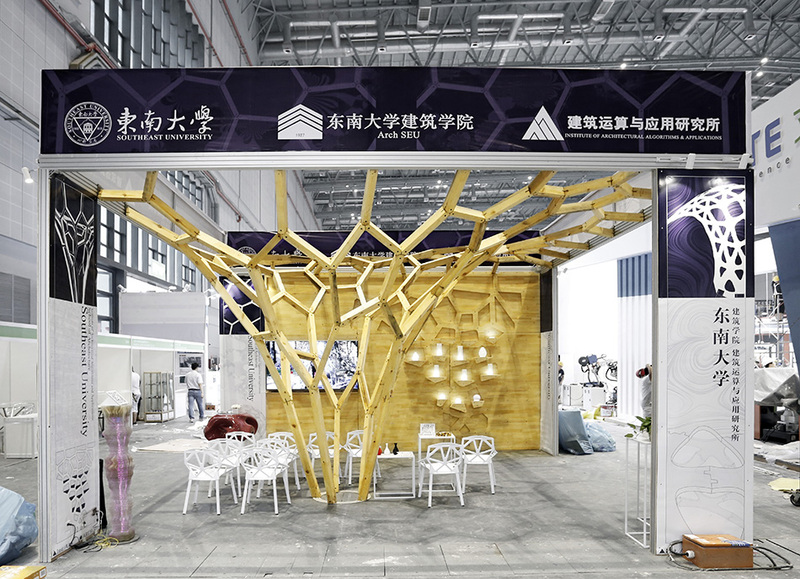 The 5.8×5.8×3.7m Pavilion consists of 145 timber bars fabricated by a robotic milling system and 87 metal connectors cut by a laser cutter. 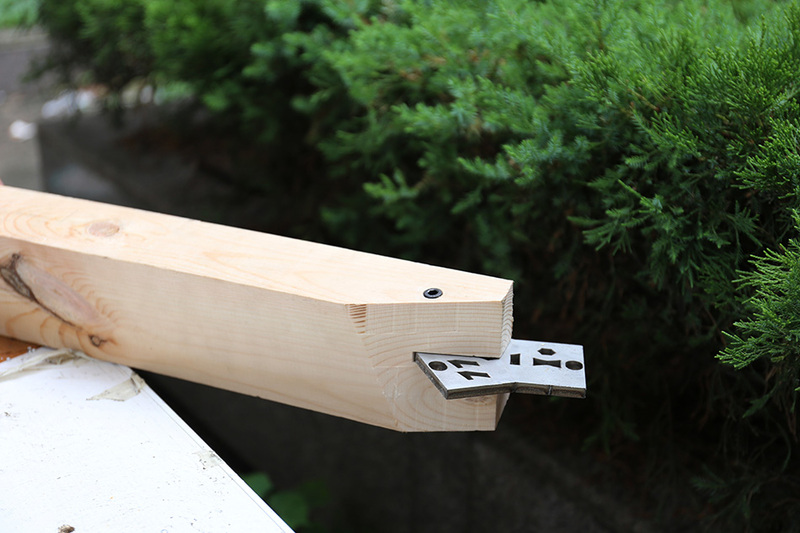 Each connector joins three bars. 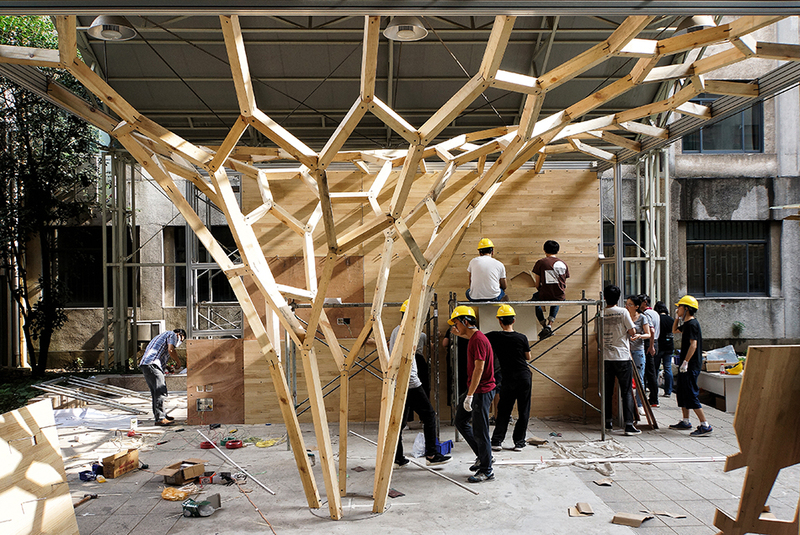 The structure uses 0.56 cubic meter (243kg) pine dimensional lumber (section 68×95mm). 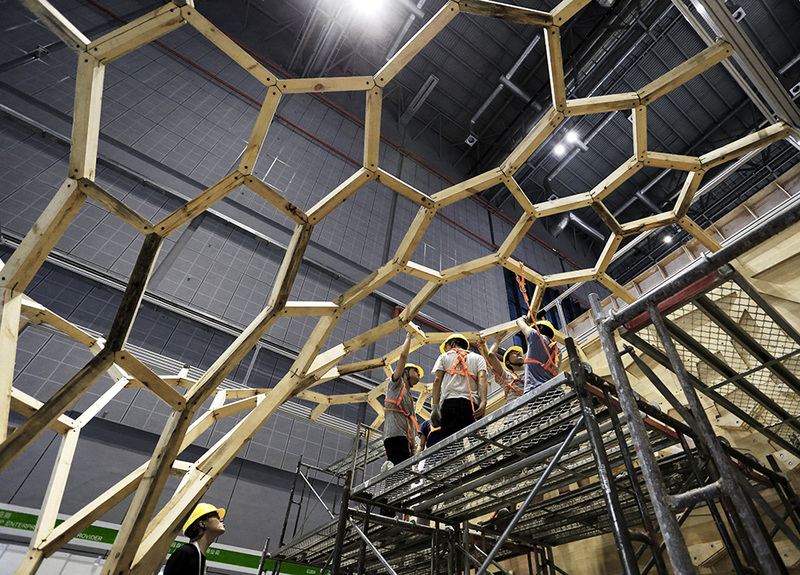 The in situ assembly took six hours and the disassembly took two hours. 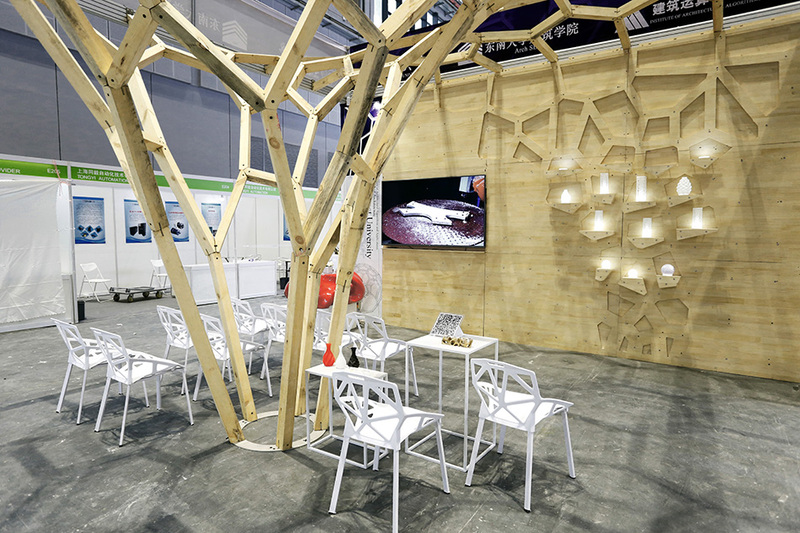 The truss-like structure is optimized to approximate a compression-only surface. 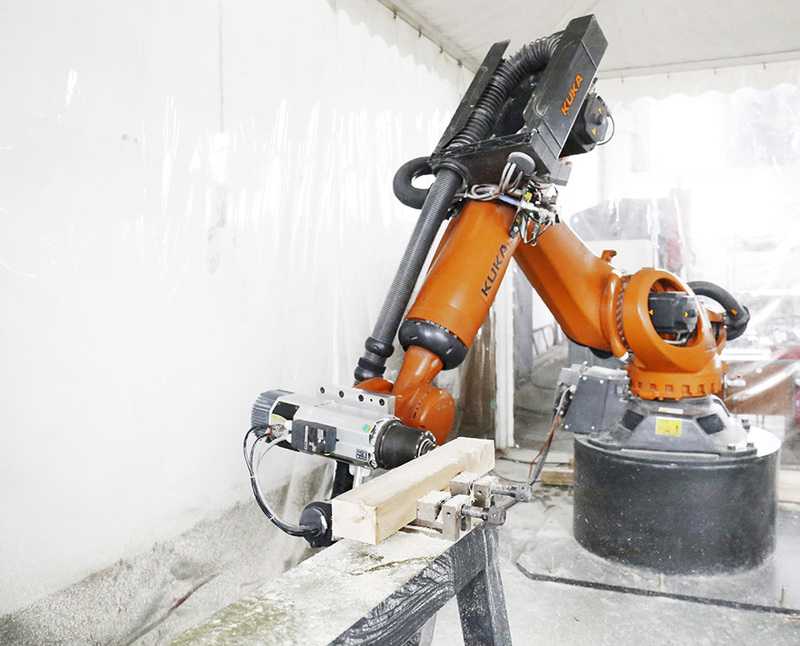 A high payload KUKA robot with an ATC spindle were employed to create the mortise-tenon tectonics from the dimensional lumber. 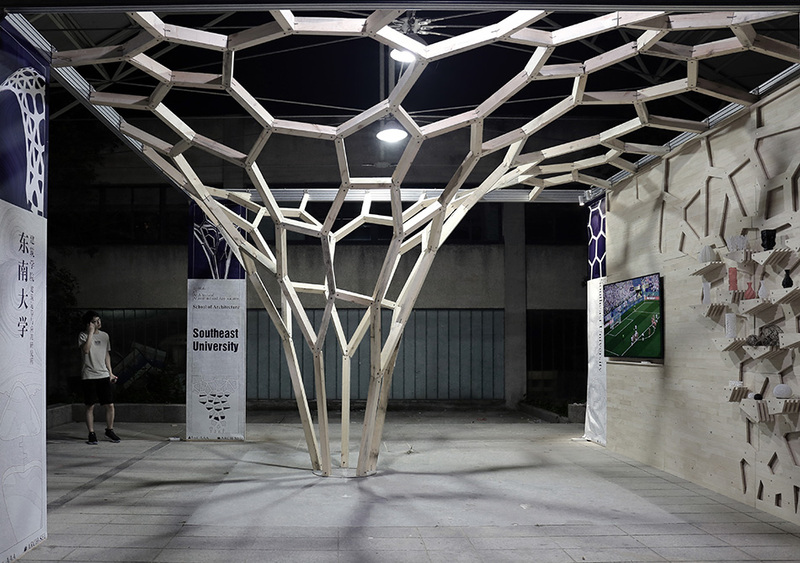 Based on the programming language Java, we developed a computer program to generate the truss structure, optimize the shape, articulate the details, and plan the toolpath. 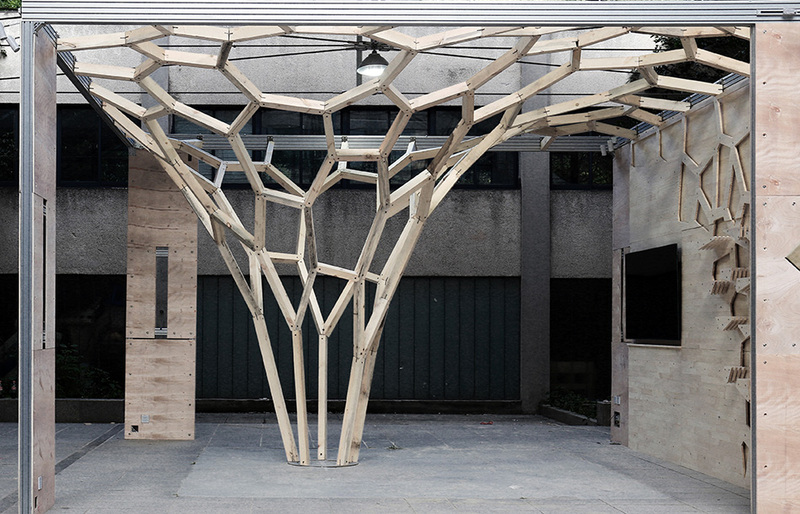 July 13, 2018 | Filed under Others.